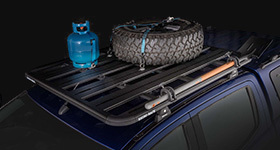 Selecting the right Rhino-Rack Kayak Carrier for your type of Kayak and Vehicle will make your transition from land to water easier. 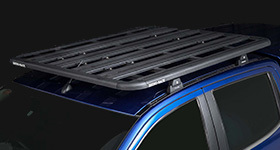 Note: For all product suggestions, you will need existing roof racks or Rhino-Rack Roof Racks. When loading a kayak by yourself these considerations should be taken into account. Kayaks weighing above 15kg / 33lbs should be loaded from the rear. If the weight is above 25kg / 55.11lbs we recommend you should use a Rhino Universal Side Loader (#RUSL) or Rhino-Rack Kayak Loader (NKL). When loading your kayak/s please take into account that longer kayaks are easier to load from the rear and smaller kayaks are easier from the side. When deciding on your type of Rhino-Rack Kayak product please take into account the orientation you wish to let your kayak rest on i.e. do you want to load it on the side, on gunnels or on keel? How many kayaks would you like to carry? If you would like to transport two kayaks resting on their keels, side by side, then we recommend purchasing a pair of Nautic 581 Kayak Carriers (#581) to comfortably transport your kayaks. 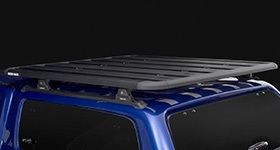 If your roof racks do not have a C-Channel to slot the 581 into then we recommend the Nautic 571 Kayak Carriers (#571). Or you can use a Rhino-Rack S512 Folding J Style Kayak Carrier (#S512) with the S512X Extension (#S512X). To carry three kayaks on your roof there are a few options; A S512 Folding J Style Kayak Carrier (#S512) with the S512X Extension (#S512X) and a Nautic 581 Kayak Carrier (#581). This way you can carry two Kayaks on their side and one on its keel. It is important to consider the width of your vehicle’s roof and its load rating so that there is no damage to your vehicle or roof racks. If you would like to transport four kayaks then we suggest utilizing two of the Rhino-Rack S512 Folding J Style Kayak Carriers (#S512) and S512X Extensions (#S512X) that enable you to carry up to 4 Kayaks on their side on your roof. It is important to consider the width of your vehicle’s roof and its load rating so that there is no damage to your vehicle or roof racks. The options below are for a single kayak with a single keel. The best Rhino-Rack product to transport your Sea Kayak is the Nautic 581 Kayak Carrier (#581). This option takes into account that Sea Kayaks are best loaded from the rear as they are generally longer than your vehicle and that the two rear cradles of the Nautic 581 are spring loaded and felt covered for ease of rear mounting. This carrying orientation perfectly nestles a sea kayak when the keel is facing down. For a Touring Kayak, the Rhino-Rack S512 Folding J Style Kayak Carrier (#S512) is recommended. Easily load your Touring Kayak from the side of your vehicle by placing it into the ‘J Style’ cradles and strap down. 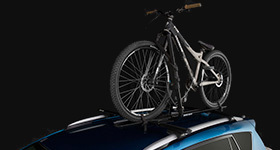 The Folding J Style Kayak Carrier allows half of your roof to remain free for the luggage you’ll be taking touring or a second kayak added with the extension piece S512X (#S512X). Sit On Top Kayaks are shallow in depth with a flatter keel. When this kayak weighs less than 15kg / 33lbs it can be loaded by a single person from the side of your vehicle. 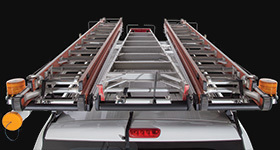 In this case, the Rhino-Rack S512 Folding J Style Kayak Carrier (#S512) is recommended. Easily load your Sit On Top Kayak from the side of your vehicle by placing it into the ‘J Style’ cradles and strapping down. The Folding J Style Kayak Carrier allows half of your roof to remain free for the luggage you’ll be taking touring or a second kayak added with the extension piece S512X (#S512X). Fishing Kayaks are wide in the middle and can have a rudder jutting from beneath. When mounting to your vehicle it is essential to load with gunnels down and keel up. The best way to protect your kayak safely through travel is with the Rhino-Rack Universal Wrap Pads (#RWP03). These will enable you to load your Fishing Kayak from either the rear or side of your vehicle and protect both your vehicle and kayak. Racing Kayaks are slim in width and sharp at the nose and tail with a small guiding rudder. The Nautic 580 Kayak Carrier (#580) is your best bet when transporting your Racing Kayak. The four rubber pads make side loading, which is recommended, easy. Surf and Whitewater Kayaks are small and easy to handle making them simple to load from the side of your vehicle. Due to this. We recommend the S512 Folding J Style Kayak Carrier (#S512). The simple, effective design keeps your kayak secure and allows for more space on your rooftop for more kayaks or luggage. If you’re traveling with a canoe we recommend the #RLH1 or #RLH2 Adjustable Canoe Holders. These effective carriers will lock your canoe in place so it doesn’t slide around during transit. Load the canoe from the rear by sliding it up and into place between the Adjustable Canoe Holders. Can be fit with #RLH1 and #RLH2 for both Vortex and Heavy Duty bar types. Ensure you’re securing your kayak properly by tying off at the front and rear of longer loads. Additionally for longer loads you should have warning flags at the front and rear. Most products mentioned above come with 2 x 5.5m / 18ft Tie Down Straps and 2 x 3m / 9.8ft Covered Buckle Straps. The only ones that do not are the #RLH1, #RLH2 and #RWP03. These straps are essential for safely securing your kayaks. It is recommended that all kayaks be tied down both in the middle or belly of the vessel and at each end to stop any form of slippage. 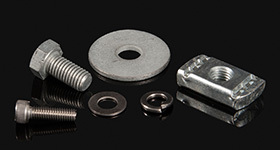 If you require anchor points at the front and rear these are available as parts #RAS, #RBAS, #RBAS1 and #RBAS2.